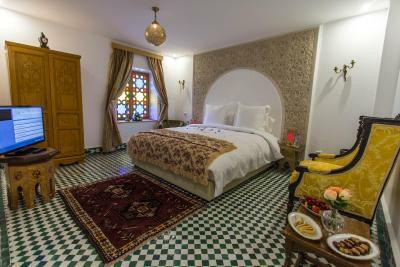 Lock in a great price for Riad Amor - rated 9.4 by recent guests. Very friendly staff. 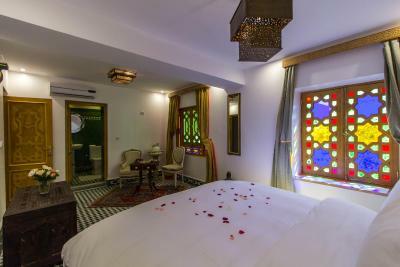 Small comfortable hotel in traditional Moroccan style, round the courtyard. 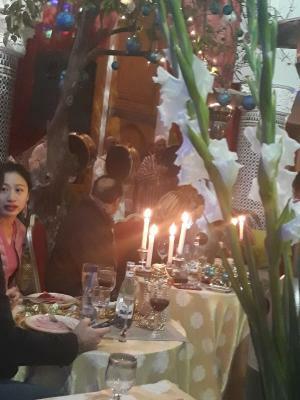 Everything was great; location, staff, food! Great experience. 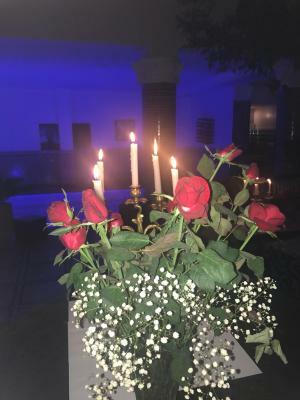 Once you manage to find the place (initial help is needed), you enter a genuine palace with a superb patio and lots of places where you can meet and talk to other people. 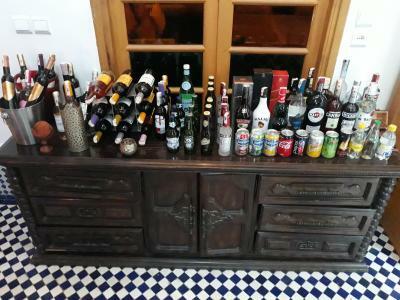 The place is extremely inviting and you can spend long hours there enjoying the ambience of the place and an opportunity to feel a diferent culture. The restaurant inside is absolutely great. We highly recommend it. 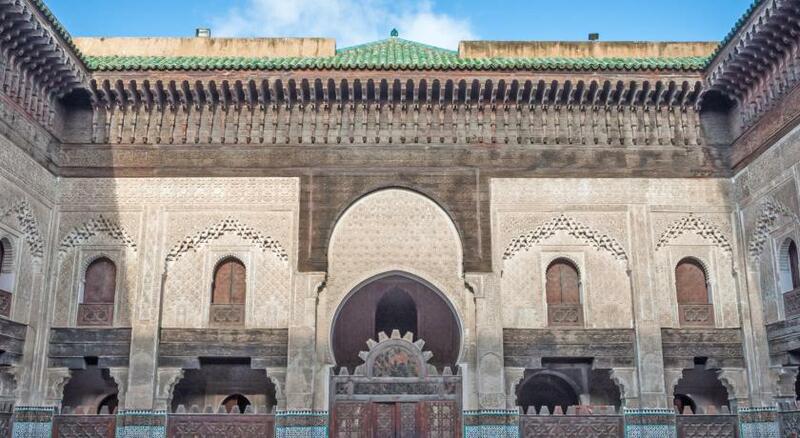 Once you know how to move around the maze of the medina, you truly feel at home. 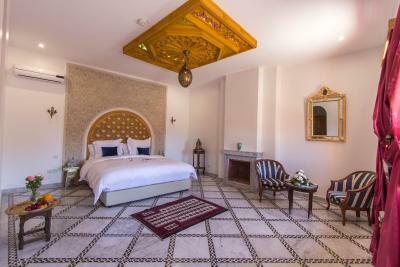 Our stay at Riad Amor was very comfortable, we felt at home. 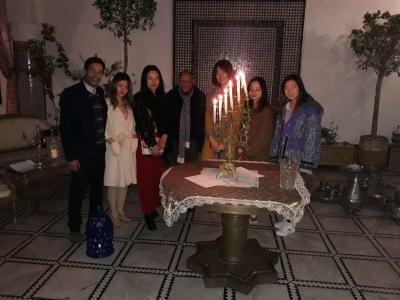 The whole riad team was very kind and professional. We recommend. 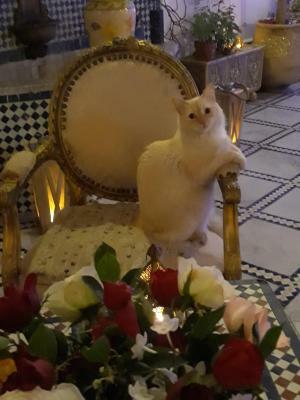 It was the best stay I ever had in Morocco. 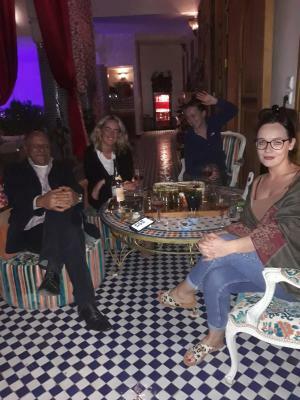 Best people, nicest Riad, best sevice und entertainment. 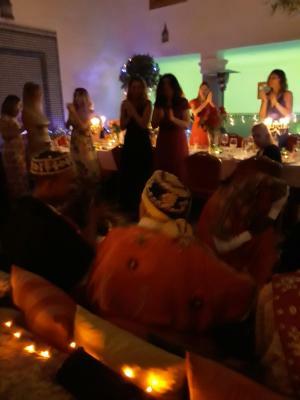 I was travelling alone as a woman and felt in every moment safe and well respected. I really have to say „Merci“ for this great experience. I definitely recomment this place! The staff. 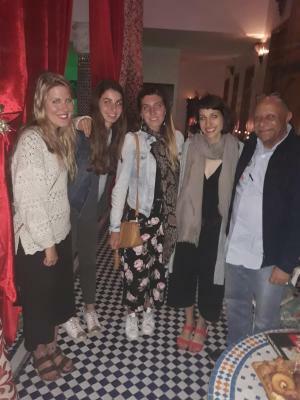 Rashid was wonderful and helped us immensely during our time in Riad Amor and Fes. We arrived late and he served us dinner (previously ordered) in a wonderful and comfortable room, what a way to start our journey. Breakfast was served at whatever time we ordered and on the last day, as we left at 6h30, he prepared us a bag full of good things. 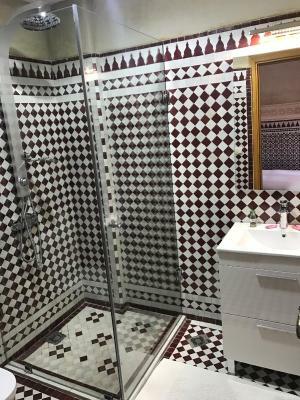 Thank you Rashid Very good location, minutes away from main Souks streets and some of the most important things to see in Fes. 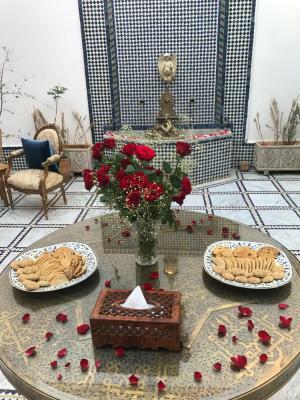 One of our top picks in Fès.Offering a barbecue and spa centre, Riad Amor is set in the Fes El Bali district in Fès, 0.9 miles from Royal Palace Fes. 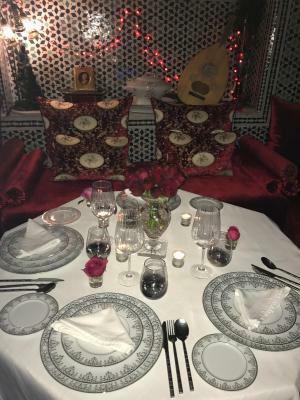 The riad has a sun terrace and hammam, and guests can enjoy a meal at the restaurant. Every room is fitted with a flat-screen TV. Certain rooms have a seating area to relax in after a busy day. Certain units include views of the mountain or garden. For your comfort, you will find bathrobes, slippers and free toiletries. 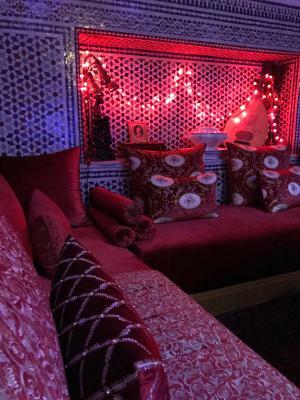 Riad Amor features free WiFi . 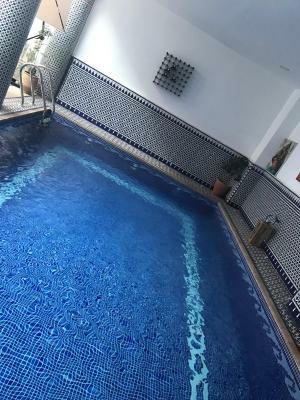 The riad also offers car hire. 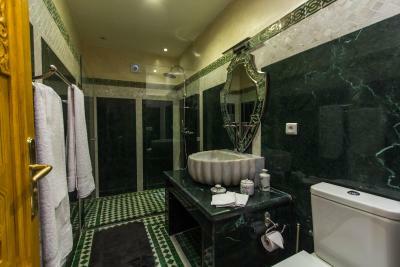 Batha Square is 200 yards from Riad Amor, while Medersa Bouanania is 200 yards away. The nearest airport is Saïss Airport, 9.3 miles from the property. 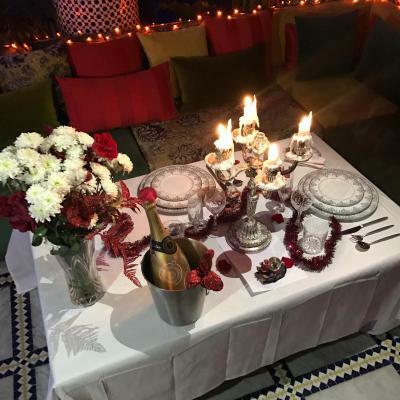 Riad Amor has been welcoming Booking.com guests since 21 Mar 2016. 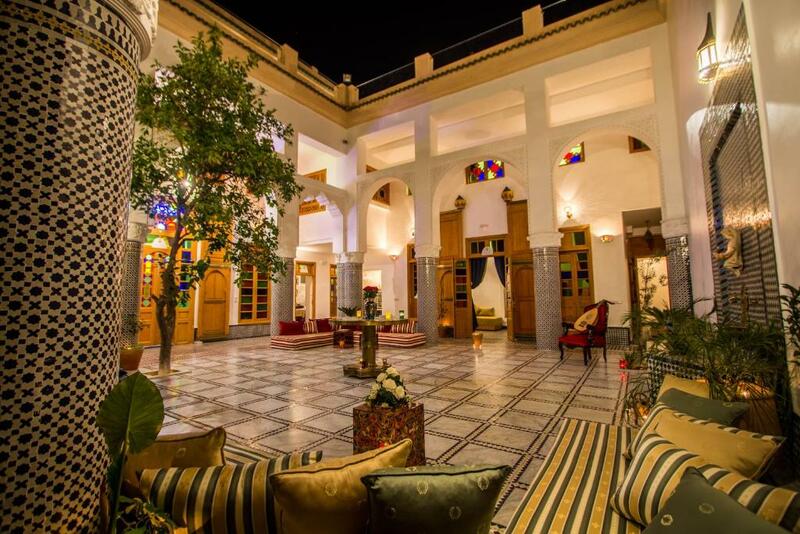 When would you like to stay at Riad Amor? 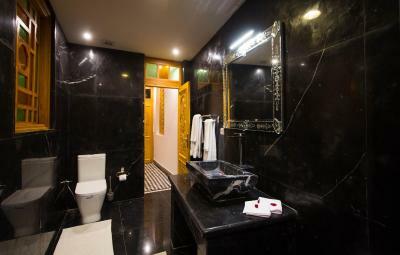 This double room has a tile/marble floor, dining area and air conditioning. 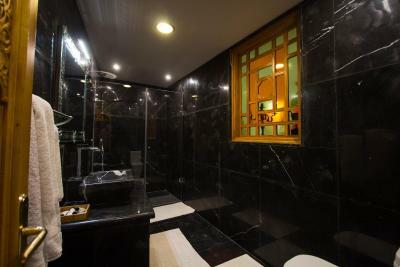 This suite features a balcony, tile/marble floor and patio. This suite has a balcony, fireplace and tile/marble floor. This double room features a balcony, patio and fireplace. This double room has a balcony, satellite TV and patio. House rules Riad Amor takes special requests - add in the next step! Riad Amor accepts these cards and reserves the right to temporarily hold an amount prior to arrival. Please inform Riad Amor in advance of your expected arrival time. You can use the Special Requests box when booking, or contact the property directly with the contact details provided in your confirmation. Good location, super friendly and helpful staff. Nice breakfast! Rashid, the night manager, gave us superb service during our entire stay. Staying in this Riad made our stay in Fes memorable. They were helpful and accommodating in all our requests. When we had to leave early and miss breakfast, they brought us coffee to our room. Our flight going home was very early and it was a nice surprise that Rashid handed us a bag filled with sandwiches, yogurts, biscuits, and bottles of water. 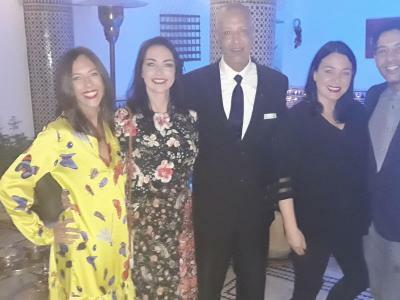 Our stay was incredible and we can't say enough good things about the staff and the Riad. 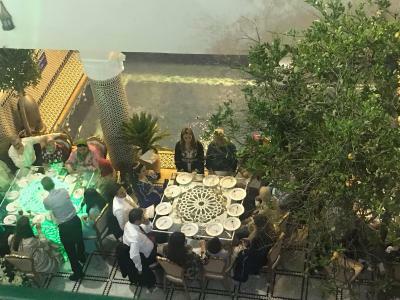 We were in and out of the Riad to go to the medina or to eat. Every time we came back we had to hit the buzzer and wait to be let in. We liked the security of having to be let in, but we didn’t like having to wait for someone to get to the door to let us in. 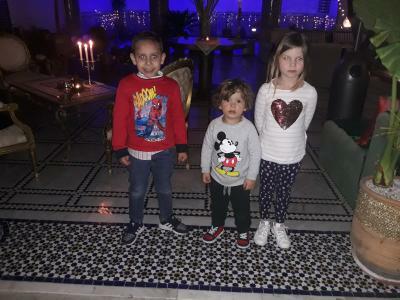 As a family of 4, this was one of the few Riads which had a family suite so we could all be in 1 room! The breakfast was amazing and abundant. AND the staff went above and beyond. It's a little tucked away in the more quiet area of the medina. This could be an advantage if you'd like. 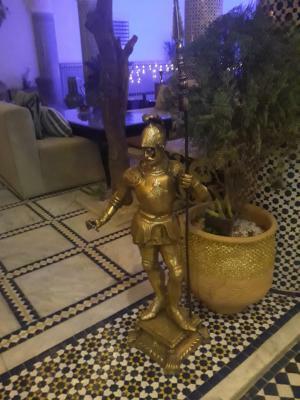 It's very close to a few well known restaurants and the signs to find the riad are amazing. Dinner was great. 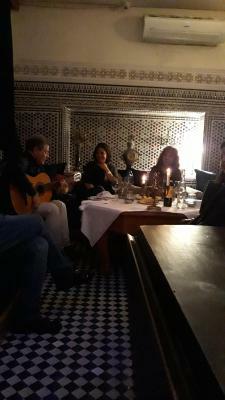 This was our first night in Morocco. They brought dessert at the end of dinner (the couscous was great). It would have been fine if it was included in the meal but it wasn't that good and we didn't order it and they charged us for it. We probably could have said no but we didn't know. Not a big deal. Otherwise had a great stay! 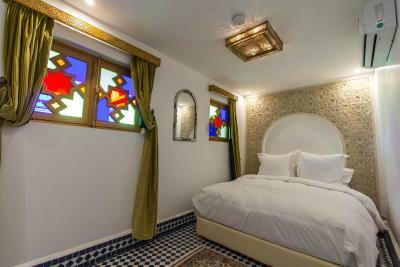 Really fantastic riad. The signage is fantastic which cannot be underestimated. For tourists easily lost, this was by far the most of signs of any riad we saw. Easy to find once you know to look for them. Really thought this was the most relaxed road that we stayed at. Peaceful. Food was quite good. Breakfast was extensive. The internet was spotty on the top floor. 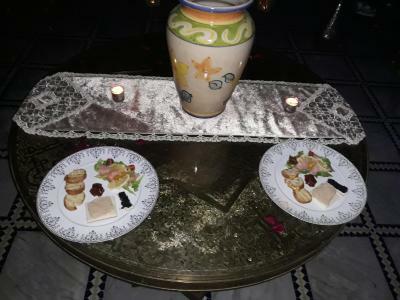 The decor wasn't quite as "amazing" as it looks in the pictures. All this I can overlook. But the biggest issue we had was the day of checkout, we had to leave very early for a bus (6:30). We had informed the staff the day before and then again the night before, and they told us someone would have a packed breakfast ready for us and would take us to the taxi stand because it would still be dark. Well, when we got downstairs at 6:30, nobody was there and there was absolutely no way to contact staff. We decided to just head out anyway, but the front door was locked. Eventually we figured out the door was a bit stiff and ended up leaving on our own, but not without the panic of missing our bus. In the process, we ended up disturbing another couple who was staying in the ground floor - thinking their room was not actually a guest room but a staff room. I felt really badly - so sorry to that couple! But to get back to my point...why is there no staff overnight? What if there is an emergency?! The staff was great. Abdul is very friendly and welcoming. 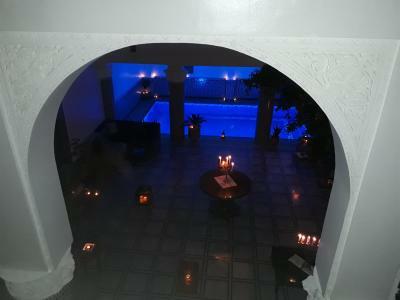 The medina can be very confusing and overwhelming, but after one small wrong turn, we found Riad Amor quite easily. The location is not too far from the blue gate, which is very helpful. 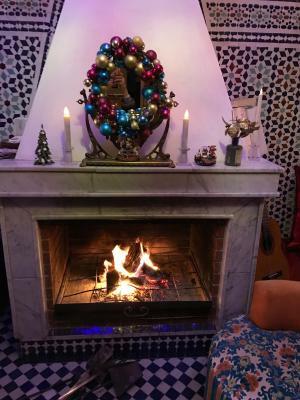 The riad is beautiful, though I think they should remove some of the random odds/ends that take away from the tiles, etc (the random christmas lights, the teddy bear). 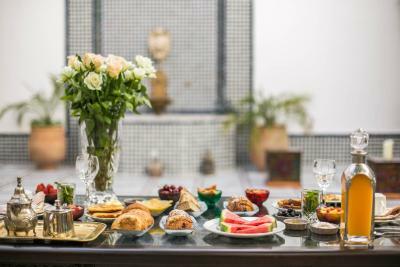 I enjoyed the breakfast in the salon - there's a lot of variety. Esp loved the rooftop and the views. The breakfast wasn’t exactly excellent, you get different kinds of bread, some dried fruits, jam and coffe/tea. You can’t choose what you eat because you will stay hungry. Great fresh orange juice , but no meat or vegetables and fruits. 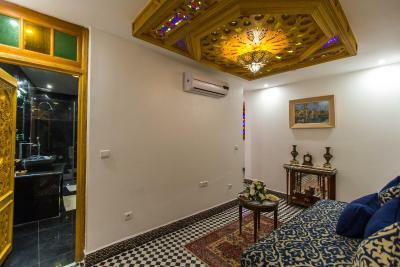 Very good Riad, well located - easy to find in the medina and not in crowded area. 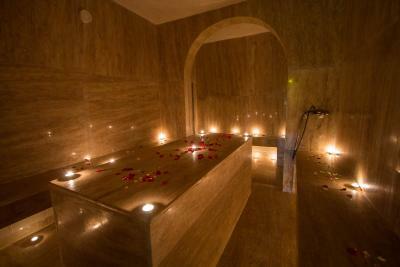 Room was Very clean, spacious, with high quality and beautifully decorated with all the amenities. Staff was very friendly and helpful to indicate tours, routes and to make our stay most enjoyable. Great breakfast!